10. This is one of the first moments in my life that I’m not studying for something – I’ve done GCSEs at school, got A levels in Sociology (A), English Lit (B), Media Studies (C) and History (B); a degree in Sociology (2:1) and a professional HR qualification that means I can write letters after my name (chartered MCIPD). I have no plans to study anything more! 9. Jess wrote about New Year in her 10 facts and I’m going to copy her. I hate New Year, I’ve never had a good one – everywhere is overpriced and there’s too much pressure to do something amazing. I’m happy to stay in! However, I love Christmas – it’s my favourite time of the year – we always put our tree up the first weekend in December and I’m like an excited kid for a month. And yes I do ask for things I want, I’m not very good with surprise presents. 8. I am not a practical person. As you’ve seen above, I’m happy studying and my brain works far better on a theoretical level. I’m also a bit of a dreamer. This meant that while I passed my driving theory test first time, I didn’t pass my practical test until my third go. The only time I changed a light bulb at home; I left the switch on and fused all the lights on the top floor. Oops! 7. I think it’s completely unfair that I have no musical talent. I am obsessed with music but I can’t play an instrument and I can’t sing. I attempted to learn the keyboard at school but never developed a flare for it. I wish I could play the piano and / or acoustic guitar but mostly I’d love to be able to sing and be in a choir or something. Unfortunately, I have to put up with listening to people doing it instead of me. 4. I was in the Brownies and then Guides till about age 13. I don’t remember anything I learnt for my badges and I’ve never been camping in a tent since! 3. My first ever job was doing 2 weeks work experience at Top Shop. Yes even at 16, I loved shops. I’ve also worked in a shoe shop and two jewellers but moved away from retail as a career because it’s much better to keep shopping just for fun. I am though trained in how to sell diamonds so at least I’ll be able to spot how good my engagement ring is. 2. I don’t do well with change, I like things the way they are and am pretty set in my ways and habits. I get upset of my favourite food or products or clothes are discontinued and like to keep things in the same place. This is probably because I’m so indecisive it makes life easier if I don’t change things and have to make decisions. Choosing from a menu is tough for me so I usually have to think about what I want most of the day before I go out to eat. 1. I’ve never kept a diary even as a teenager. I think I was too worried someone might read it, which is weird that I’m now effectively writing an online diary that the whole world can read. But this one doesn’t have pages moaning about how much I like a boy that changes every week like my diary back then probably would have done. It does have me moaning about single though so maybe me and my teenage self would have more in common than I think! The rules are I need to pass this on to four bloggers so they can share their 10 facts with us. I hope you accept the task guys! I always tried to avoid working retail as I knew my entire paycheck would go back to them! And I always wanted to own a bookstore too! Just a small nook with a bunch of weird accessories and randomness scattered about. Ahhh, it’s still a dream actually. I enjoyed your random facts! I kept a diary through all of high school – and yes, a lot of the stuff is embarrassing to read later on, but it’s also hilarious! Haha yeah a bet it’s fun to look back on it! I am also obsessed with music and have ZERO talent in that depot. I was embarassingly “last chair” in our middle school band both years I tried. Last chair = worst player in the band. Hahahah! 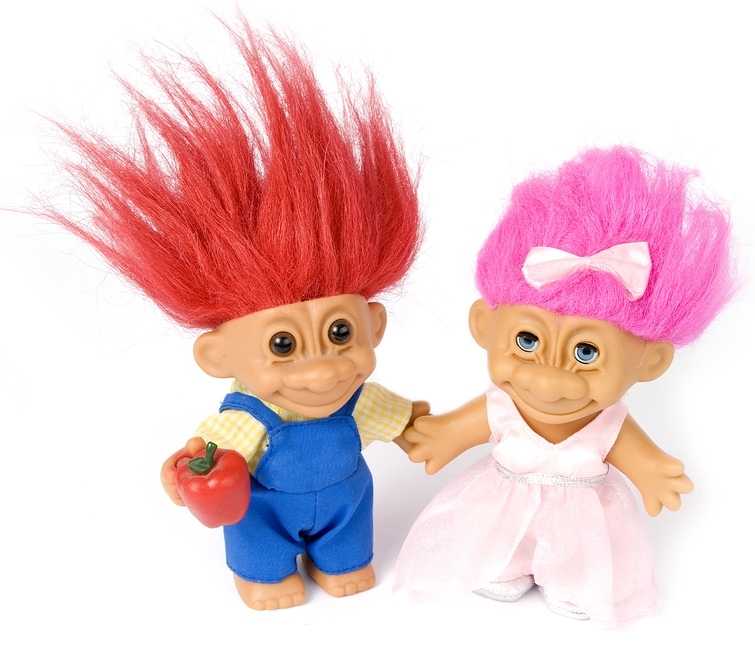 Hmmm…trolls! I loved trolls until in 5th grade some kid told me I had troll eyes (my eyes are huge!). LOL! This post brought back some mildly depressing but still funny memeories! Aw so cute! A funky dance party indeed! I completely agree with you about New Year – I’d rather stay in and not try to make a big deal of it. I did have a good New Year once in London, however. Now that I think about it, I’ve celebrated in several different places around the world, and they were okay. I’d still rather stay in. I may get that from my parents who always stay in for it. Yes I’m not alone on this then! Looking forward to reading your facts! I enjoy your blog and haven’t commented in a long time…life ! a question regarding writing. I read a lot. A lot. Like about 4-6 + books per week. But I tend to not write. But I want to. But I have ideas but they don’t formulate etc…I almost need to go back to “basics” and do an outline for ideas maybe (like back in the elementary school days when we wrote out setting, characters, etc). How to form an “outline”? I think I almost need one. Another thing is that I have 2 competiting odds of writing (and reading) interests…I love middle grade stuff…but I also love young-adult dystopian/fantasy…I find myself unsure of my true voice and what lures me more…or sometimes i have such a big big idea that its almost too overwhelming to tackle it. Thanks. Do you FOR SURE know your “voice” and genre? I bounce from middle grade to young adult. Vastly different. Dark and serious. Or silly and basic, etc. I vacillate so much. I think outlining would be helpful…but I’m not sure how to exactly do that. I need to go back to english classe(s). Silly science degrees is all I have! I think you just need to write what grabs you at that moment, it’s hard to just pick something without an idea that grabs you. My last try was a supernatural story, the one I’m currently writing isn’t but they’re both for young adults so I think just go with your mood at the time and see what you create! Have you written novel(s) before? Its overwhelming to think that people write a few before finding “the one”. I watch too much TV and read too many books. It is my procrastination and not working out productively well for obvious reasons! Have a look at an earlier post that explains my writing journey – https://littlemisseverything.wordpress.com/2011/03/30/my-writing-story/. The trolls are adorable and I hope that you find a way to “make your own kind of music.” Maybe a kazoo? Or drums! I’m being serious in a silly way ~ there are so many instruments from recorders to kazoos to ukelele’s. Find one that suits and sing your own special song.. I used to have trolls too. They’re so funny….I can’t believe how much I liked them! I also love music, but sadly have no musical ability. I had a big collection, poor trolls they’re abandoned now! Aw I hope so hun and you too! Diaries where you just whine and go on and on about how “I wish so-and-so would just realize that my heart burns for him with the intensity of a thousand suns! I would have his babies and he’s just soooo focused on THAT GIRL” are overrated. I think a blog where you actually have to account for what you say is better, because it allows you to formulate INTELLIGENT thoughts. All my old diaries have ever done for me is leave me mortified, wondering how I could have possibly been so ridiculous. & You know, you could always have that bookshop. Maybe when you’ve been working, and have a bit of money to sit on, you should just go for it. Hello! Haha yeah sometimes we formulate intelligent stuff on here 🙂 Aw yeah maybe I will one day or if I win the lottery! I used to have a troll collection too. I never kept a diary either. Gosh wouldn’t it be grand having a bookstore? I threw them all away! Sorry 🙂 Ah you’re up to it, can’t wait to read yours! Haha they do have bulgy eyes! About the talent (or lack thereof), I have the same issue. Why can’t I sing, paint, dance, draw…? Not. Fair. And GCSEs… Do you like in the UK. We do BGCSEs in The Bahamas (which is a spin-off from the GCSEs that we used to do as a British colony. I have the same dream. It seems impossible but it’s lovely to at least think about. Ah yes we can but dream …. Enjoyed this blog post. I miss my troll. I’ve always wanted a musical talent as well. Mostly singing, but I’d also go for guitar or drums. I’ve actually been thinking of taking guitar lessons, but I’m still not sure. Maybe if you did it, I’d do it, too. I’d like to learn guitar too although I’d prob have to cut my false nails off 🙂 Time holds me back at the moment really. You should go for it though!